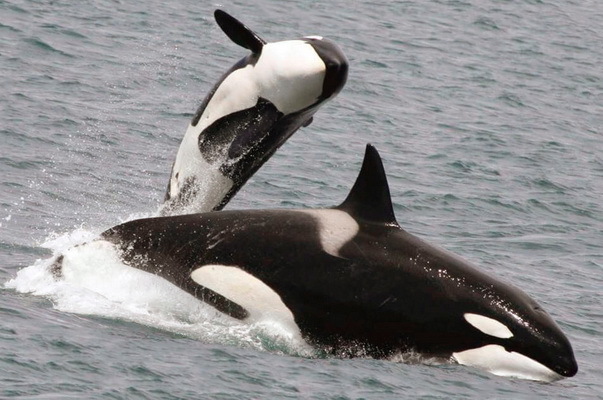 Experts believe that the killer whales and beluga whales kept in the bay of Central Primorsky Territory for sale in foreign aquariums should be released as soon as possible, otherwise they will die. “Delay in releasing killer whales into the wild and in transferring the beluga whales to the rehabilitation regime, and the lack of public and expert control can lead to grave consequences for cetaceans. This is the general opinion of the experts, ”Dmitry Lisitsyn, head of the regional public organization (RPO) Sakhalin Environmental Watch, told Interfax-Far East. According to him, the longer they sit in crowded conditions and in tight containers, the greater the likelihood of deterioration of their health from stagnant water, poor diet and stress. Lisitsyn stressed that according to the unanimous opinion of experts, killer whales should be released from the bay as soon as possible. “They will still be able to find their families who have already left the area of ​​the Shantar Islands and are now migrating to the Kuril Islands and then to the more southern areas of the ocean,” he said. He added that for belugas it is necessary to create an expert commission of scientists specializing in cetaceans, veterinarians of the aquarium, microbiologists, as well as divers and underwater operators. “It is necessary to conduct a comprehensive survey of the white whales and clearly separate – who can be released now (who can survive in the wild conditions – IF) and those who need to be grown and adapted. The information gathered by the expert group should be provided to an even wider expert community “in order to make a common and most correct decision,” said D. Lisitsyn. According to him, Medium Bay is quite suitable for adapting babies to belingas, since these conditions, in contrast to the aquarium, are more close to their natural habitat. As the kids grow, they could gradually expand open-air cages, launch wild fish, imitating hunting conditions, in order to release animals into the sea in the spring adapted to independent living. But according to scientists, other people should take care of belugas, but not trappers. As reported, at the end of October, Greenpeace Russia and the Sakhalin Environmental Watch public organization stated that 11 killer whales and 90 belugas were illegally kept in the enclosures of Srednyaya Bay in the south of Primorsky Krai. According to zoodefenders, belugas and killer whales were brought to Primorye before being sold to foreign aquariums and zoos. SC initiated a criminal case under Part 3 of Art. 256 of the Criminal Code of the Russian Federation (illegal extraction of aquatic biological resources). On instructions from the Prosecutor General’s Office of the Russian Federation, specialists from the Pacific Oceanological Institute are examining animals to determine if they can be released into the wild.